In an unprecedented move, the Chairman of the Joint Chiefs of Staff, General Joseph Dunford, issued a stunning rebuke last month to Google. Dunford warned the tech giant about its recent investments in China and the implications for U.S. national security. Dunford plans to meet with the tech giant to discuss its responsibility to the United States. He’ll talk about the benefits the U.S. has provided to the company and continues to provide as the business expands its many commercial enterprises. Dunford’s remark coincided with statements he made before a Senate hearing earlier that month, when he said Google was “indirectly benefiting the Chinese military” by doing business in China. He said he believed no company could do any sort of business in that country without its technology being siphoned off. Beijing’s refusal to end its practice of forcing companies to transfer their intellectual properties and technology as the cost of doing business in China is one reason why the Trump administration has imposed tariffs on Chinese goods. China’s business practices are a clear violation of World Trade Organization (WTO) standards. China has pledged to adhere to them, but has not done so. If a foreign company wants to do business in China, it must partner with a Chinese state-owned company. The foreign company is then required to transfer its intellectual property and technology to that joint company. Thus, there is no difference than working for the Chinese Communist Party, the government and the Chinese military. Dunford views China’s business practices as a national security threat to the U.S. If Google does not change them, he warned, it will enable the Chinese military to use the stolen technology and intellectual property developed in the United States against this country. Google must understand that this technology transfer and intellectual property giveaway has second- and third-order effects on U.S. national security. China will use this technology to gain leverage over the United States to degrade the U.S. military’s strategic advantage. China could also possibly transfer that technology directly or indirectly to U.S. adversaries such as Iran, Russia and North Korea. The issues that worry Dunford are much bigger than just Google; China targets every major American company with cyberattacks on their intellectual property. 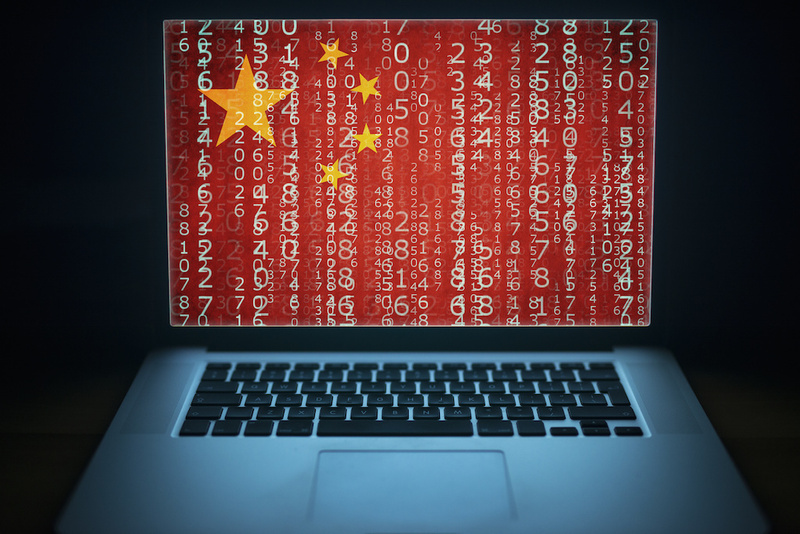 One has only to remember Beijing’s cyberattack on the U.S. Office of Personnel Management (OPM) in 2015 that gave China the personal information of over 21.5 million Americans. The real problem is that the defense establishment and the tech world look at each other with deep suspicion. Just last year Google decided not to extend its artificial intelligence (AI) contract with the Pentagon after this year. They were jointly collaborating on Project Maven, which would have used AI technology to analyze drone footage. Among the reasons for Google’s withdrawal from the contract was that numerous employees objected to working on a project that perpetrates the business of war. The employees signaled that they would resign in protest if the partnership continued. When asked about China’s emerging 5G technology, Dunford called it a “critical national security issue” that needs to be addressed by all allied nations. “Our relationships rely on trust, and that trust, in part, is the assurance that the data that we exchange, the intelligence we share, the information we share can be done in a way where it’s not compromised,” the general said. The national security implications are severe. If China perfects 5G technology before the U.S., it will put the United States at a huge disadvantage. That is why the U.S. needs to dominate 5G technology. If we do not, we will pay a hefty price.